Lock in a great price for Beach Style Cottage – rated 9.1 by recent guests! The bed was comfy the view was breathtaking and the but Gwen was the best part for me..The absolute best host..it's truly a home away from home. Very nice welcome ans stay with Gwendolene, the house is very original, the terrace at first floor a real pleasure for a "cocooning evening". Self catering, pleasant environment. Could be in our room or downstairs kitchen, lounge, outside braai area. Great hosts. The bed was very comfy, and the atmosphere was very welcoming. Gwendoline and her husband have been very accommodating and friendly and we felt at home,thanks to them and we enjoyed our stay to the fullest. Bedding very neat as well as the bathroom. Gwen offered my husband of her very nice coffie and Gwen is an excellent hostess. Very clean and well designed. The host was great and it felt luxurious for a great price! Definitely recommend this properly to everyone looking to stay in Langebaan. Gwen was an awesome hostess. The room was nice and cosy, and there was nothing that was missing. The home itself was beautiful, with great entertainment spaces. 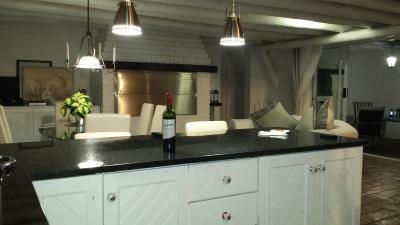 One of our best sellers in Langebaan! 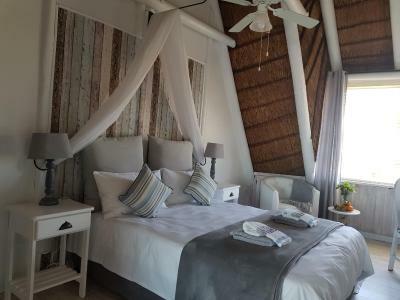 Located in Langebaan, within 14 miles of West Coast Fossil Park and 25 miles of Vondeling Island Reserve, Beach Style Cottage has accommodations with free WiFi. Featuring a 24-hour front desk, this property also provides guests with a grill. Each room comes with a flat-screen TV with satellite channels. At the guesthouse, every room includes a terrace with a sea view. Beach Style Cottage provides certain rooms with lake views, and the rooms come with a shared bathroom. Guest rooms feature a closet. Postberg Flower Reserve is 25 miles from the accommodation. 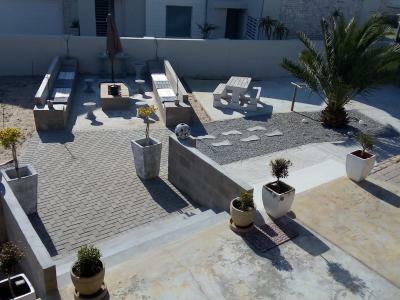 This property is also rated for the best value in Langebaan! Guests are getting more for their money when compared to other properties in this city. When would you like to stay at Beach Style Cottage? House Rules Beach Style Cottage takes special requests – add in the next step! Beach Style Cottage accepts these cards and reserves the right to temporarily hold an amount prior to arrival. 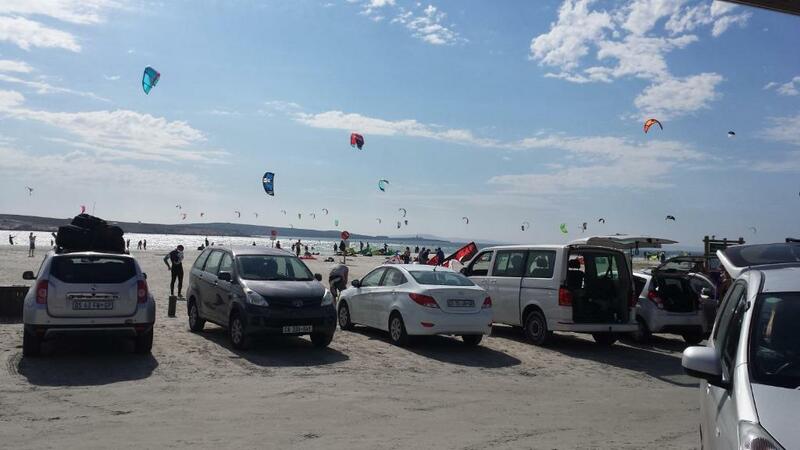 Please inform Beach Style Cottage of your expected arrival time in advance. You can use the Special Requests box when booking, or contact the property directly using the contact details in your confirmation. Didn't get any wifi signal and there wasn't water for drinking available in the room, would have to go downstairs for water, was a bit worried with security of parking area but we were assured it's safe,which was the case the area is very safe. I'm not sure if there's something I didn't like coz everything was perfect for us. Shared bathroom (door does not lock). Loft is low in some parts. The calm environment. Place is awesome. The location pin as shown on booking. Com map is fictitious - the house is much further from the sea than shown on the map. WiFi in the room is intermittent. Hostess a little over bearing. Loved the place. Friendly hostess. Relaxed atmosphere. The style of the place.